Blog Reymidas entrevista de manera pionera en LatinoAmérica a Karen Hudes, la ex-abogada del Banco Mundial. El motivo de la entrevista fue sus declaraciones en el importante medio ruso Russia Today. En esa entrevista expuso su caso de alto nivel de corrupción en el Banco Mundial. En esa entrevista menciona que existen gigantescas cantidades de oro secretas, siendo acumuladas, para la creación de una nueva moneda mundial, en el futuro. Cuenta que podríamos ir a una guerra mundial de divisas. Con mucho coraje, Karen Hudes cuenta secretos propios del Banco Mundial y de importantísima concentración de riqueza a nivel mundial de la riqueza en pocas multinacionales. A raíz de sus afirmaciones en este importante medio ruso, Blog Reymidas le pidió entrevista para que mostrara mas evidencias. En concreto, Karen Hudes afirma que existen 4 veces más del oro conocido del planeta, ubicado en algunos bancos. Varias veces el oro extraído en toda la historia humana, de acuerdo a cifras del World Gold Council. Ella afirma que existen 170 mil toneladas de oro en el Banco de Hawai solamente, una cifra similar a todo el oro conocido a nivel mundial. Las pruebas presentadas y la calificación de las mismas, queda a criterio del lector. Solo cumplimos con la primicia mundial y ser el primer medio en entrevistar a esta abogada, la "Edward Snowden", del Banco Mundial. Hudes ve gran riesgo en el sistema monetario internacional y en especial en el dólar estadounidense. También habla de la manipulación del oro. Es un honor que haya aceptado ser entrevistada por Blog Reymidas. El sitio de Mike Maloney,asesor de Robert Kiyosaki, comentó el 18/10/2013 sobre Karen Hudes. Si estas afirmaciones fueran verdad, cambiaría totalmente TODO lo conocido y creído acerca del oro. Este editor no pudo sacar una opinión concluyente acerca de la veracidad de su testimonio en torno a una de las historias financieras mas grandes de los últimos tiempos de una "insider".Y uno de los misterios mas grandes de la historia del oro del año. Queda abierta a mayores análisis esta información. La entrevista se publica hoy en inglés, y contiene complejidades legales propias de quien entiende los asuntos internos a este nivel. Muchos links, muchos documentos. Pronto se ofrecerá una traducción al español. Este tema se tratará brevemente en el webinario gratuito del 6/11/2013 sobre inversiones en metales preciosos. Para participar, click aquí . 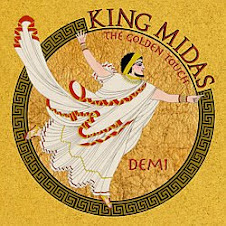 En el 2010, Blog Reymidas fue el único medio en LatinoAmérica en demostrar el silencio de los medios internacionales en relación al escándalo del oro en la audiencia de la CFTC. Fue un gran escándalo. Pero los medios no tocaron el tema .Otra vez , fue tema tabú. La evidencia de la falta de cobertura mediática del escándalo, quedó retratada por este editor en el canal youtube de Blog Reymidas, videos 22, 23 y 24 también. Y también en el libro Aurum Argentum. Pronto se ofrecerá traducción al español, pero se acepta colaboración para esta extensa traducción. Al final, se presenta las fotos que adjuntó en el correo a este editor, de bonos soberanos de EEUU por sumas gigantescas. 1) Karen, thanks for accepting this interview. First I would like you tell us about you background and credentials at the World Bank. 2) Why you left the World Bank? Two days after informing the Board’s Audit Committee of the cover-up in the Philippines, I was reprimanded and placed on probation. The Dutch Ministry of Foreign Affairs requested the World Bank’s Audit Committee to look into the cover- up. Instead, the Chair of the World Bank’s Audit Committee requested an inquiry into the World Bank’s Institutional Integrity Department. The Senate Committee on Foreign Relations followed up with three letters to the World Bank. The World Bank forged documents and fired me in contempt of Congress. The World Bank also fired the Staff Association’s lawyer. The Staff Association stated that what had happened to me had damaged staff morale and prevented others from reporting misconduct. The World Bank’s Ethics’ Officer left in frustration after her request for an investigation by the World Bank’s Institutional Integrity Department was turned down. 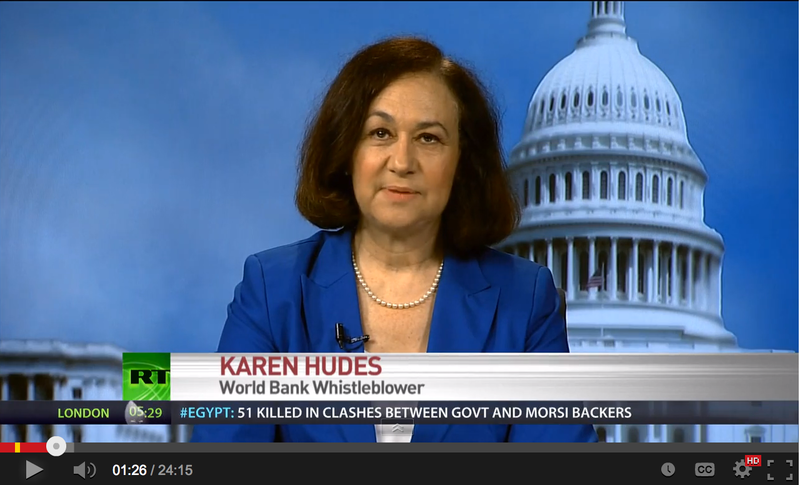 3) Are there more World Bank “whistleblowers” yes who are they? 4) You mentioned in one interview that you took notice about the real structure of global power. A network of powerful entities and multinationals that control a a significant part of global economy. Who are they? And how did you arrive to this conclusion? 5) What can you tell about Latin countries and emerging economies? How are these countries being damaged by this high level of corruption? How do you evaluate the World Bank role related with emerging economies. Any comments regarding Argentina? There have been a number of deaths from cancer or heart attacks: Venezuelan President Hugo Chavez, after theattempted assassination and coup d’etat in 2002. Argentina’s president Cristina Fernandez de Kirchner, who had cancer symptoms. Her husband Nestor had died of a serious heart attack at age 60 in 2010. Also Brazilian president Dilma Rousseff, who caught cancer, Paraguay’s Fernando Lugo, Lula of Brazil and retired Cuban leader Fidel Castro, came down with cancer in 2006. The World Bank will be able to fulfil its role when the Board of Executive Directors has taken back its powers under the World Bank Articles. On June 4, 1947, the Executive Directors accepted in a Memorandum with Regard to Organization and Loan Procedure that "[t]he Executive Directors are responsible for the decision of all matters of policy in connection with the operations of the Bank, including the approval of loans," and "[t]he Management is responsible for developing recommendations in all matters of policy requiring decision by the Executive Directors." "Whenever, in connection with the operations of the Bank, decision of a question of policy becomes necessary, the President will submit such question to the Executive Directors with the recommendation of the management as to the action to be taken..."
On September 1, 2009 I advised the Board of Executive Directors: "It is for the Executive Directors to determine if they are now obligated to avail of the full range of powers in the original mandate of the Executive Directors contained in the Articles of Agreement." 6) Karen, according to one interview made by Russia Today, you claimed that there is much more gold than the official World Gold Council global stocks ever mined. For the record, you said “there is 170,500 metric tons of gold deposited in a vault in the Bank of Hawaii, 130,500 metric tons in AMEX Hong Kong plus 150,000 metric tons in Development Bank of Singapore, for a total of 451,000 metric tons. There is an additional amount exceeding 100,000 metric tons in other American banks”.This is explosive news and one of the main reasons of this interview. Can you provide us with all the details about your discoveries about gold? This gold is held in trust for the people of the world. I used to work in the Philippines and reported corruption at the end of the East Asia financial crisis. I reported the corrupt take-over of the second largest bank in the Philippines. Lucio Tan, a crony of Joseph Estrada, then President of the Philippines, acquired stock owned by government employees in Philippines National Bank (“PNB”) valued more than 10% of PNB’s outstanding capital without disclosure, as required by Philippines securities laws. Tan owned Philippines Airlines, in default on its loans from PNB. The government of the Philippines loaned $493 million to PNB after PNB’s depositors made heavy withdrawals. $200 million of a loan from the World Bank and a $200 million loan from Japan were cancelled. Estrada was ultimately impeached, and in 2007 an anti-corruption court in the Philippines required Estrada to refund graft he had plundered. The Bank’s Country Director in the Philippines reassigned me when I asked him to sign a letter warning the Philippines’ government that the Bank could not disburse its loan without a waiver from the Board of Executive Directors since the loan conditionality was not met. The World Bank’s Internal Audit Department refused to correct the satisfactory evaluation of the Bank’s supervision performance or the flawed report of the Institutional Integrity Department to the Audit Committee of the Board of Executive Directors. When the Audit Committee requested an audit of internal controls over financial reporting, KPMG, the external auditors, circumscribed the scope of their audit in violation of Generally Accepted Accounting Principles and Generally Accepted Auditing Standards. After my case became public, a lawyer familiar with the collateral accounts contacted me with the details of the world’s gold. 7) Who is hiding so much gold and why? The bulk of the gold (451,000 metric tons) is held in the banks. 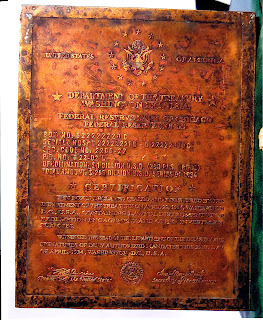 There is an additional amount exceeding 100,000 metric tons in other American Banks and an additional 172,000 metric tons of gold re-buried in the Philippines in 1973. 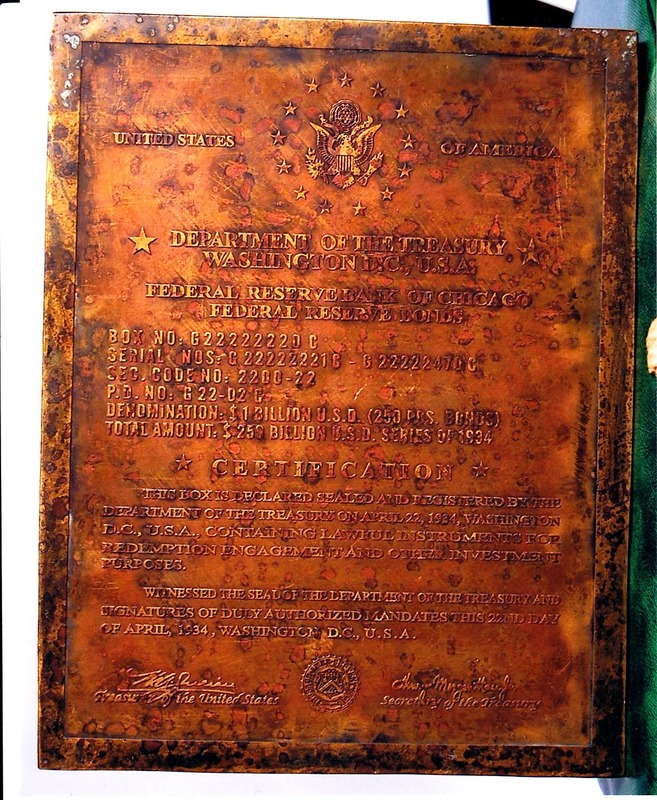 Can you provide with photos, documents or other legal proof of existence of this gold? Are there more witnesses ready to talk about this “black listed” gold? I mentioned that David Wynn Miller, a 92nd degree Mason http://www.youtube.com/watch?v=WfLkCHJuSpk (Vista previa) and Lord James Blackheath, a member of the House of Lords https://www.youtube.com/watch?v=l67HCjdXMEg (Vista previa) both referred to 750,000 thousand metric tonnes of gold. 9) Where all these huge amounts of gold came from? 10) Have you seen legal documents or discussions about gold manipulation so far? Do you believe this gold is being used to manipulate its price internationally? Yes, there is manipulation in the price of gold by the “super entity”, but this does not involve the secret gold that is hidden in the banks and also buried; it involves naked shorts: the offer for sale of gold which is not accompanied by physical possession. 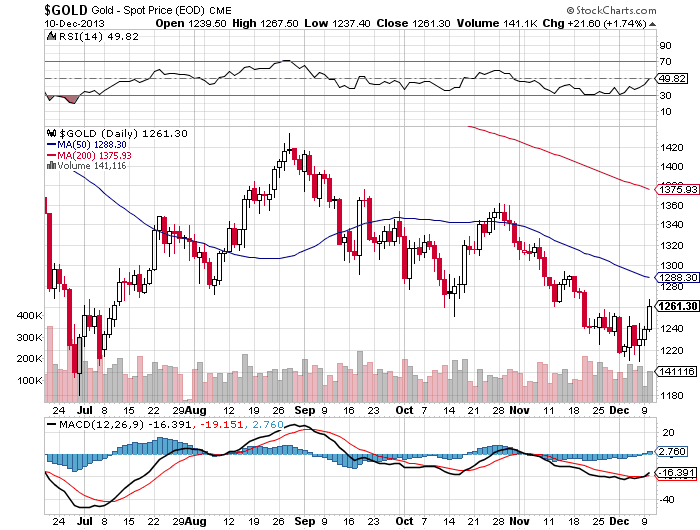 Goldman Sachs announced two downgrades in the price of gold, first at the end of February, and then on April 10, 2013. Then the Federal Reserve assaulted the price of gold through uncovered gold certificate short sales on April 12 of 500 tons. Gold prices were rising against the dollar because of eroding confidence, as the Fed printed more dollars than people were willing to hold. Utah, Missouri and Idaho already have laws recognizing gold and silver bullion coins as legal tender, and a dozen more states have introduced similar bills. 11) What irrefutable evidence can you provide about the existence of this unlisted gold? 12) Is the World Bank involved in gold manipulation schemes? 13) Do you see gold as a real investment choice? Why? If the transition from fractional reserve fiat currency to asset backed currency is not smooth, gold may provide a means of payment. 14) The price of gold is around 1300 $ per ounce. Do you believe that its price is extremely high due to the existence of massive amounts of unlisted gold? I believe that demand for gold will increase commensurately as a means of backing the worlds’ currencies. 15) Do you have any opinion about silver? In addition to its uses for monetary exchange, silver has many industrial uses, and its relative scarcity vis a vis gold is not reflected in its current price. 16) These statements are clearly coming from a woman with extreme courage who took the risk for all of us. Have you had problems for being a “World Bank whistleblower” as you are known in the web? Are you seeing the reward for your courage, Karen? I am working alongside a group of other whistleblowers, and each of us is doing our part. I get to be a little more upfront than the others by virtue of my litigation as a World Bank bondholder, and also because the United States is a super-power and ending the cover-up to American citizenry holds the key to the transition. I am getting a lot of help these days and expect that we will resolve this lawlessness. 17) Is it true that western media has been censoring your story? Why? Have you been interviewed by Latin American media so far? Western media is owned lock, stock and barrel by the “super entity” and has done everything in its power to suppress the story. The internet and alternative media are ending the cover-up. So far you are the first of the Latin American media to publish my story. 18) This level of corruption may lead to a total loss of confidence in paper currencies. Do you see a possible scenario of currencies collapsing, including the US dollar? Just like in 1971, negative GOFO indicates the risk of permanent backwardation. Without restored confidence in international currencies, a chain-reaction leading to a barter economy commences, bringing serial bankruptcies, unprecedented unemployment, and shortages of food, fuel, and medicine. This would result in famine, pestilence, and a break-down of law and order. When the value of US Treasury paper erodes, no amount of bond buying by the US Federal Reserve will be able to stop the collapse of the fiat dollar. The monetary reserves of the world’s currencies will be extinguished, representing the largest destruction of fiduciary values in all history. 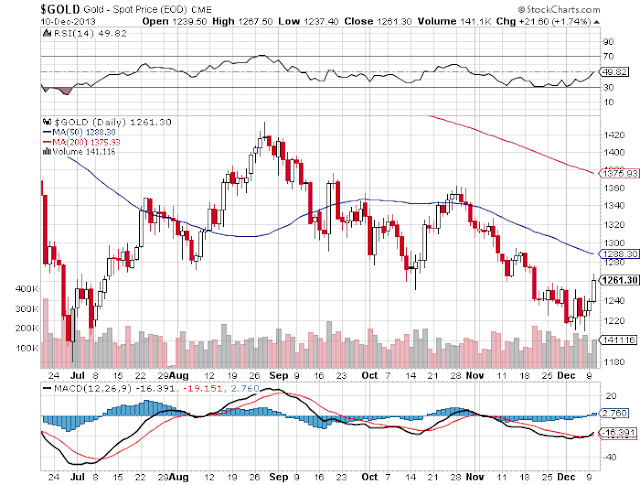 Much depends on how the banking system will hold up while the new gold strategy is being implemented. The Universal Credit Rating Group, owned by Russia, China, and private investors is also making it impossible for the cover-up of corruption to continue. 19) What currencies are the safer in your view? Based on your knowledge about the global structures of power, what should the people do with their money? Or what should NOT be doing? 20) Is it possible a currency war with all these compliance risks? 21) What will happen to the World Bank? Have you been contacted by government -member officials requesting information about World Bank corruption ? 22) Is there anything you would like to add to this interview? Thank you very much for the coverage. 23) Why the “average guy” should care about these geopolitical schemes made by these entities? How can the people stop it? Our welfare and the welfare of our children depends upon whether we can all live together in harmony or whether we are being exploited by the “super entity”. 24) What is your message for all of us who are being enlighted by your courage? Spread the news to your family, friends and neighbors. Stay involved as we fix the loopholes that allowed this corruption to exist. You will know if you are receiving all of the information you need to keep yourselves informed by the fate of your whistleblowers. Thank you very much for this interview, Karen Hudes. En este webinario gratuito del 6/11/2013 estaremos comentando algunas perspectivas para el oro y presentando el avance del seminario intensivo del 11/11/2013 . También se presentarán herramientas gratuitas y oportunidades que puede aprovechar. Incríbase al seminario del 6/11 de manera totalmente gratuita haciendo clic aquí. Próximamente , estaré publicando material exclusivo para toda LatinoAmérica. Siga los mercados, siga siempre Blog Reymidas. LINGORO.COM llega a Blog Reymidas y se transforma en la primer compañía de prestigio internacional que ha decidido ser patrocinador oficial de Blog Reymidas. Finalmente este Blog ha encontrado una solución para que ud. pueda comprar oro , desde la comodidad de su casa, y con su tarjeta de crédito y poder almacenar su oro en seguras cajas de seguridad. LINGORO.COM reconocida como una empresa fiable y es recomendada por G.A.T.A (Gold Anti-Trust Action Committee), como negociantes de monedas y metales preciosos. Este organismo fue creado en 1998 para demostrar, denunciar y luchar contra la manipulación de los precios, de la demanda de oro y la creación de productos financieros como certificados de oro o ETF. 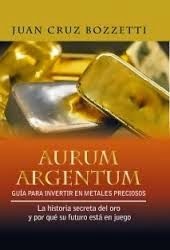 Recordar las sugerencias de Aurum Argentum, antes de invertir en oro. Gracias a LINGORO y a quienes recomiendan y apoyan Blog Reymidas para seguir creciendo.